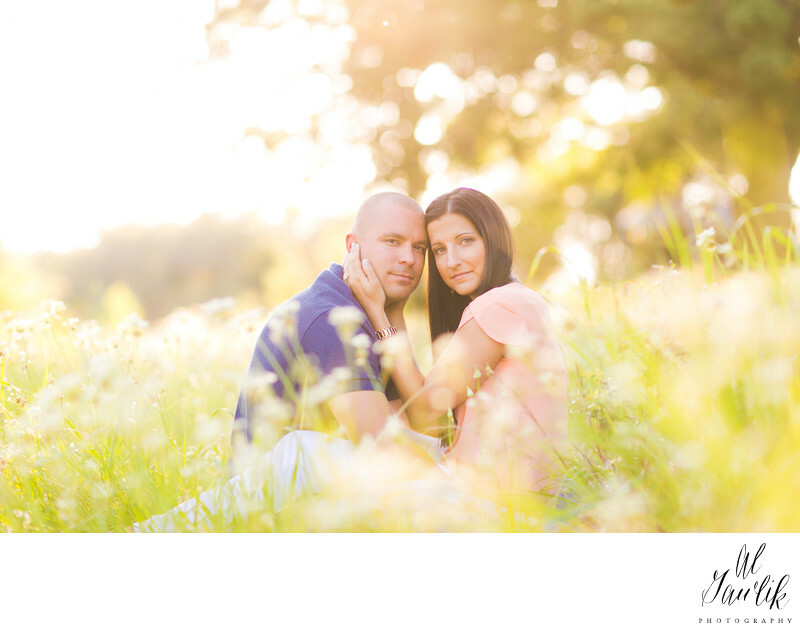 AL Gawlik Photography is along for the ride at the moment of this engagement, with her lens in the leaves and flowers at ground level. She holds his face in a loving embrace and you can feel the emotional impact of the moment. What a lovely portrait!